Wendy Ramshaw first trained in illustration and textile design. Her early jewellery, made in the early 1960s with her husband David Watkins, used screen-printed acrylic and paper. Wendy Ramshaw is a leading and internationally renowned artist jeweller, who experiments with a wide range of materials and new technologies. Artistically she was always ahead of her time, her designs are distinctive and innovative. In this necklace Ramshaw has translated enamelling, a traditional craft, into a modern language with colourful and ornamental inlaid bands. It was part of the collection which won the Council of Industrial Design Award, 1972. 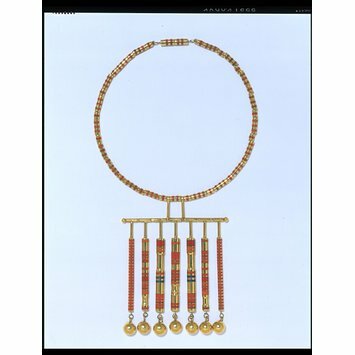 Circular necklace from which hangs a row of seven vertical pendants each with a gold sphere at the end. 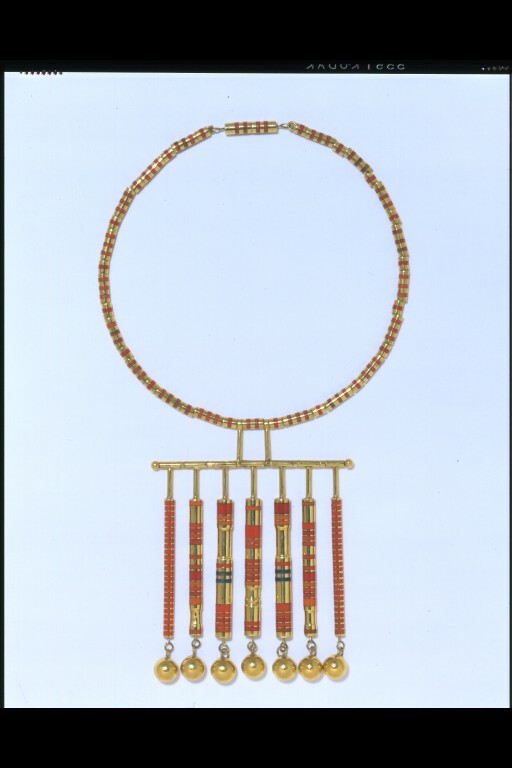 The necklace is decorated throughout with narrow parallel bands of red and orange enamel. 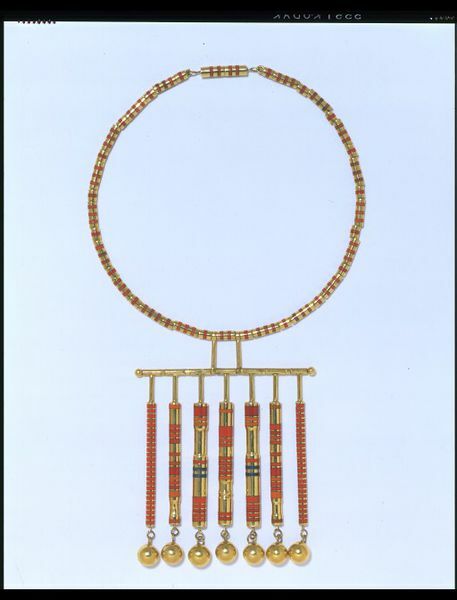 Necklace of turned gold elements decorated with red and orange enamel, by Wendy Ramshaw, 1971.